﻿ Bedford Appliance Rental from £2.99 Per Week. 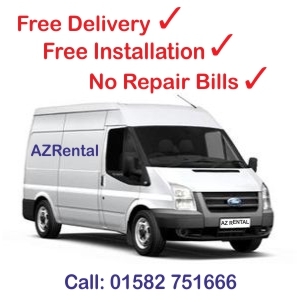 AZ Rental provides fast free easy delivery, direct to you in Bedford and surrounding areas. Our helpful delivery staff will install and set up your Washing Machine, Tumble Dryer, Electric Cooker, fridge freezer free of charge. 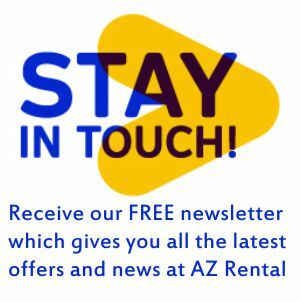 All of our items at AZ Rental are maintained and tested before they are delivered. However, If any of your rental items are faulty or break down during your rental term, through no fault of your own, we will call to you and repair or replace the item free of charge. No stress, no fuss. 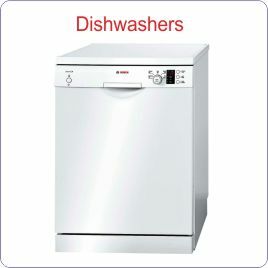 A dishwasher has now become one of the most important components of today’s modern kitchen and some they that the dishwasher is as important as the washing machine, not only does it save you loads of time washing and drying is also cleans and sanitises your plates and cookware far better that you can do by hand. It is also more efficient and uses a lot less water than a conventional hand wash. Whether it a basic TV or Curved, Flat Screen , High Definition, Ultra High Definition or Super Ultra High definition television we at AZRental can supply it. 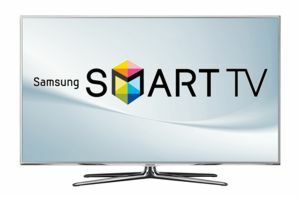 All televisions are installed by our fully qualified professional installation personnel. We supply major brands such as Samsung, LG, Linsar and others. 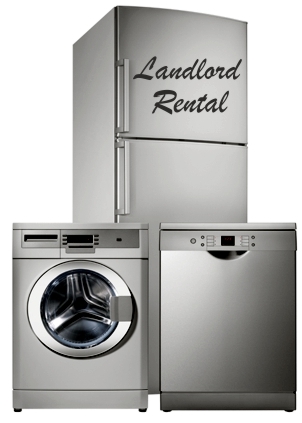 With AZ Rental Bedford , the convenience of acquiring appliances whether it be Washing Machine Rental, Tumble Dryer Rental Cooker Rental or TV Rental for your home has never been easier! Simply select the items you want from our website and complete our fast and easy online application form. We will call you and arrange the rest. Our credit checking policy is quick and easy, and there is no need for a perfect credit history. We at AZRental Bedford stock Washing Machines, Tumble Dryers, Washer Dryers ranging from 5kg to 10Kg load capacity 1000 rpm to 1600 rpm at great prices starting from our budget range to our very latest flagship models. 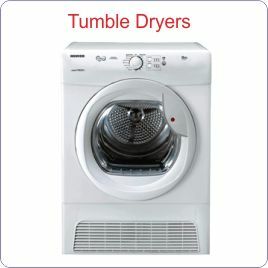 We Supply and install Zanussi, Bosch, indesit, and Hoover Washer dryers. 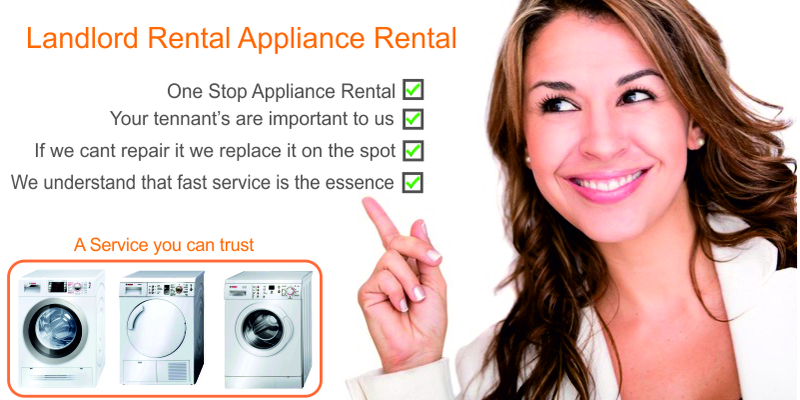 We at AZRental Bedford are your one stop shop for renting Laundry and Visual Equipment. 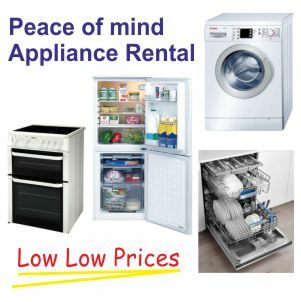 Whether you simply prefer to rent a washing machine, Tumble dryer, cooker, television for your home or you want to rent short term for an event or because your equipment is in storage etc., we are here to help. We can also help customers who require commercial equipment. 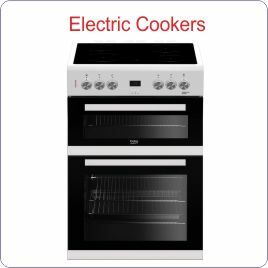 We supply and rent out Electric Cookers. We stock single oven cookers with solid plate hobs and also stock ceramic hob electric cookers with fanned main oven and double oven versions with timer. We stock Beko, Belling, new world and other reputable makes. We Supply Vented and condenser tumble dryers for rental with varying specifications. Ask about our latest heat pump dryer that has an energy rating of A+++ and dryers your clothes at approximately half the cost of conventional dryers that at best dry at energy rating B.
Bedford Washing Machine, Tumble Dryer, Washer Dryer, Fridge Freezer, rental makes sense partly because what ever goes wrong with your Washing Machine, Tumble Dryer, Washer Dryer, Fridge Freezer, you can be assured of a quick no fuss Repair Service which is backed by our fully qualified Washing Machine, Tumble Dryer, Washer Dryer, Fridge Freezer, engineers. We regulary visit the Bedford Area making it easy for our washing machine repair engineers to sort any problem out quick. Leave all the lugging about of these heavy items to us at AZrental. For just one month rental down we will call to your home and deliver and install the Rental Washing Machine, Tumble Dryer, Washer Dryer, Fridge Freezer, and show you how to use it. Repair Service is one of the main things that we pride ourselves on. Obviously there is no capital cost of buying a Washing Machine, Tumble Dryer, Washer Dryer, Fridge Freezer, and no need to take out expensive Repair Service agreements as we take care of all the Repair Service arrangements, if the machine becomes not repairable then we will replace it more or less immediately so to cause you the customer as least fuss as possible. 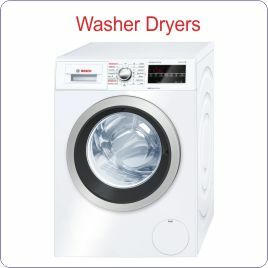 We supply a varied range of high quality Washing Machine, Tumble Dryer, Washer Dryer, Fridge Freezer,s so why not Check out our Laundry Offers We have. We have taken a considerable amount of time choosing the right products for the job. 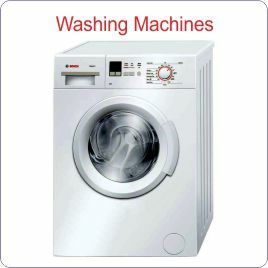 we not only supply Rental Washing Machine, Tumble Dryer, Washer Dryer, Fridge Freezer,s but also Rental Washer dryers, Rental Condenser and Vented tumble dryers, Rental Refrigeration and Rental TVs and rental digital recorders. We Supply Bosch, Zanussi Hotpoint etc..
All our rental contracts are covered with our full maintenance service and swap out if needed enabling you to have peace of mind while renting from us. If you choose to collect from our store you will need to make arrangements by calling us first. Make sure we cover your area. Please Click Here to make sure that we cover your area. Choose the Product you require. Next choose the product(s) you require by clicking one of the Product Categories above. Click Apply Now and fill out the application form or Request a call back where you can choose a time convenient for one of our product specialist to call you within 24 hours. We only ask for payment once your application has cleared and a delivery date has been agreed. Useful information about Bedford . Bedford is the county town of Bedfordshire, in the East of England. It is the administrative centre for the wider Borough of Bedford. According to the former Bedfordshire County Council's estimates, the town had a population of 80,000 in mid 2005, with 19,720 in the adjacent town of Kempston. The Bedford Urban Area which includes Kempston, Elstow and Biddenham forms the 71st largest Urban Area in the UK with a population of 101,928. The wider borough, including a rural area, had a population of 153,000. [The name of the town is thought to derive from the name of a Saxon chief called Beda, and a ford crossing the River Great Ouse. Bedford was a market town for the surrounding agricultural region from the early Middle Ages The Anglo-Saxon King Offa of Mercia was buried in the town in 796. In 886 it became a boundary town separating Wessex and Danelaw. It was the seat of the Barony of Bedford. In 919 Edward the Elder built the town's first known fortress, on the south side of the River Ouse and there received the area's submission. This fortress was destroyed by the Danes. William II gave the barony of Bedford to Paine de Beauchamp who built a new, strong castle. The new Bedford Castle was razed in 1224 and today only a mound remains. Bedford traces its borough charter in 1166 by Henry II and elected two members to the unreformed House of Commons. Bedford remained a small agricultural town, with wool being an important industry in the area for much of the Middle Ages. From the 1560s Bedford and much of Bedfordshire became one of the main centres of England's lace industry, with skilled lace-makers such as the Flemings and then later the Huguenots emigrating from Europe to settle in the town and surrounding county. Lace continued to be an important industry in Bedford up until the early 20th century. The River Great Ouse became navigable as far as Bedford in 1689. Wool declined in importance with brewing becoming a major industry in the town. In 1660 John Bunyan was imprisoned for 12 years in Bedford Gaol. It was here that he wrote The Pilgrim's Progress. The 19th century saw Bedford transform into an important engineering hub. In 1832 Gas lighting was introduced, and the railway reached Bedford in 1846. The first Corn Exchange was built 1849, and the first drains and sewers were dug in 1864. [ Bedford is the largest settlement in Borough of Bedford. The borough council is led by a directly elected mayor who holds the title 'Mayor of Bedford', an office which was first held by Frank Branston, until his death in 2009. The current Mayor of Bedford is Dave Hodgson from the Liberal Democrat Party. Bedford itself is divided into 10 wards: Brickhill, Castle, Cauldwell, De Parys, Goldington, Harpur, Kingsbrook, Newnham, Putnoe and Queens Park. Brickhill elects its own parish council, while Queens Park and Kingsbrook & Cauldwell have their own urban community councils (which have similar powers to a parish council). The rest (and majority) of Bedford is an unparished area. Bedford forms part of the Bedford constituency, represented in the House of Commons of the United Kingdom Parliament. The current Member of Parliament (MP) for Bedford is Richard Fuller, who is a member of the Conservative Party.